Nowadays, thanks to e-commerce sites like Amazon and eBay, it is very easy for people to shop for stuff online. Anything they need from clothes to electronics to makeup to books, people can find them all online. What is even better for consumers is that they can view all products’ relevant information, such as pricing, product details, and delivery date, all in one place. After taking all factors into consideration, consumers can then place orders for the products that fit their needs the best. Modern-day consumers cannot enjoy the convenience of Internet when it comes to services. Imagine parents living in a metro city like New York or Atlanta who are looking for tutors for their kids struggling in school. Right now there is no efficient way for parents to find a tutor because there are thousands of tutoring companies in these cities and it is impossible for parents to research all the companies properly or talk to every single one of them. This means parents have a hard time figuring out what exactly these companies offer and how they are different from each other. What ends up happening right now is parents would just have to go with the best tutoring company out of the two or three companies they spoke to, knowing that there are probably better options out there. What if there is a site that has already aggregated all the information about these tutoring companies and can tell you exactly how these companies are different from each other in terms of service offerings, pricing, etc.? Another problem is finding jobs. High school and college students/graduates are constantly looking for internships and employment opportunities. There are lots of job boards on the Internet ranging from the most famous ones like Glassdoor to less well-known ones like Tackl.co, and this creates a problem. Obviously, a computer science student is looking for jobs that are very different from what a humanities student would look for. What if there was a site that already breaks all the job boards across the net into different categories such as tech jobs or internships? Tutoring and finding jobs are just two examples of people having a hard time finding and working with service sectors in general, from education to financial services to even moving and storage. This is why we decided to start a whole new platform — FetchMi.com, a one-stop-shop service platform to connect people to local and online service resources. 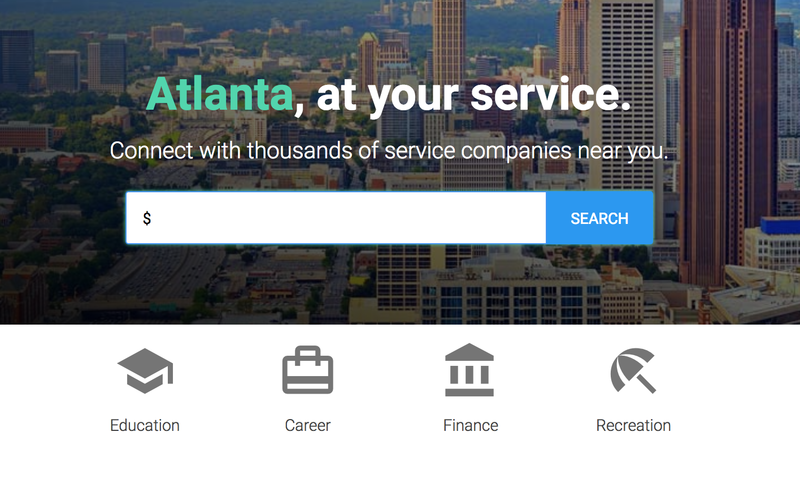 We are currently based in Atlanta and focus on offering services in education, recreation, career, and finance. At FetchMi, we believe that a company, regardless of size, has to be driven by a sense of mission and higher purpose. We hope that one day, through FetchMi’s effort, we can make people’s service finding experience more efficient and pleasant! We hope that no matter what service you are looking for, from tutoring to driving lessons to coding bootcamps to loans, FetchMi.com will become your go-to destination!